How much is Eric Brittingham Worth? Eric Brittingham net worth: Eric Brittingham is an American bass guitarist who has a net worth of $6 million. Eric Brittingham was born in Salisbury, Maryland in May 1960. 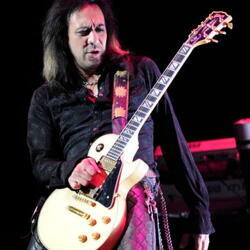 He is best known for being a member of the band Cinderella. The band formed in 1982 and broke up in 2017 and Brittingham was one of two members to stay with the group the entire time. Cinderella released their debut studio album Night Songs in 1986 which reached #3 on the Billboard 200 chart. Their album Long Cold Winter was released in 1988 and reached #10 in the US as well as #7 in Switzerland. The band had success with the album Heartbreak Station in 1990 and released the album Still Climbing in 1994. Their successful singles include the songs "Nobody's Fool", "Gypsy Road", "Don't Know What You Got (Till It's Gone)", "Shelter Me", and more. 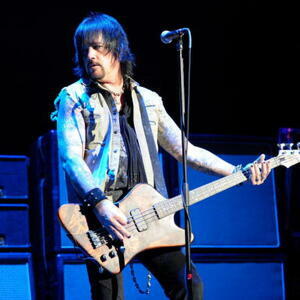 Eric Brittingham has also played in the bands Naked Beggars, Devil City Angels, and the Bret Michaels Band.